Home > Amazon > Amazon: Buy One Give One Magazine Subscriptions! 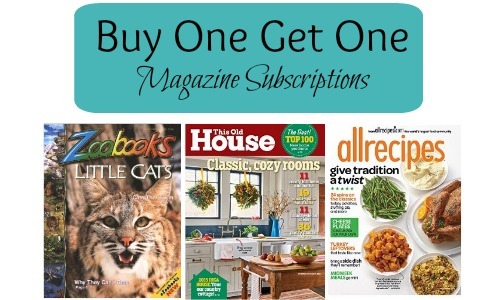 Amazon: Buy One Give One Magazine Subscriptions! Looking to get someone a subscription to a good magazine? Check out this Buy One Give One magazine subscriptions offer on Amazon right now. Plus, most of these subscriptions are at very low prices too!